The Great Lakes have 27 remaining Areas of Concern (AOCs) in U.S. waters. Through GLLA and other programs, impairments in AOCs continue to be reduced. Eventually, this will result in their removal from the AOC list. Legacy pollutants—chemical contaminants left behind by industry from decades ago and prior to modern pollution laws—remain a burden in some Great Lakes communities. 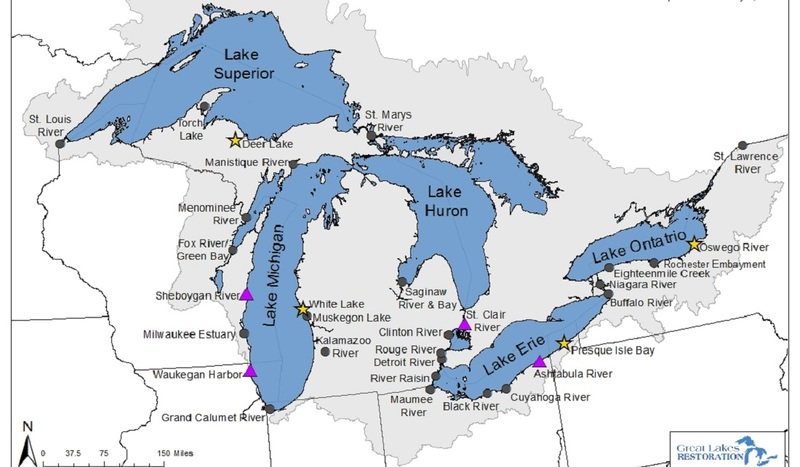 In fact, the U.S. side of the Great Lakes have 27 Areas of Concern (AOC) that are still considered impaired due to risks to human health, pollution, habitat loss, degradation and other issues. Over multiple projects, nearly 1 million cubic yards of contaminated sediment in the Buffalo River have been cleaned up through the Great Lakes Legacy Act.  The GLLA program is administered by the U.S. Environmental Protection Agency Great Lakes National Program Office in Chicago, Illinois. GLLA uses a unique funding strategy that combines voluntary support from states, businesses, and non-governmental organizations, and the federal government through the Great Lakes Restoration Initiative. Illinois-Indiana Sea Grant assesses outreach needs and engages stakeholders at the community level where GLLA sediment cleanups take place. Sediment cleanups come in many sizes. 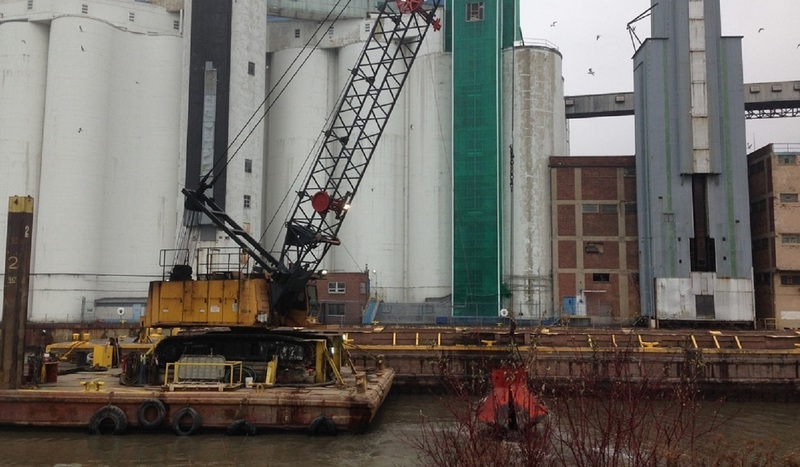 The largest GLLA completed project dredged and capped one million cubic yards of contaminated sediment from the East Branch of the Grand Calumet River in northwest Indiana. “Together, the State Natural Resource Trustees, Federal Natural Resource Trustees and EPA have spent over $180 million on sediment remediation projects in the Grand Calumet River, supporting a heathier fish community and attracting a robust migratory bird population,” said Bruno Pigott, Commissioner of the Indiana Department of Environmental Management. 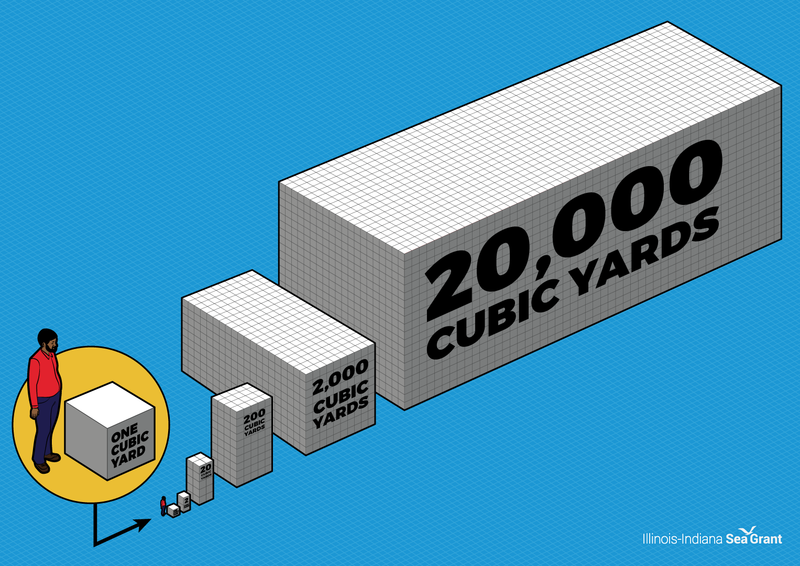 To put dredge volumes in perspective, consider how the size of a single cubic yard compares to the average height of a man. Much has been accomplished in the program’s first 15 years. Under GLLA, 21 projects are complete in six out of eight Great Lakes states, and more are in the planning stage. Through federal support and local funds, over $588 million has been spent to investigate sediment contamination, design cleanups, and implement solutions to pollution in AOCs. “The Legacy Act is now among the most successful cleanup programs in the region and a cornerstone of the AOC program,” said Doss. For the most comprehensive web coverage of sediment cleanups under the Great Lakes Legacy Act, visit www.greatlakesmud.org or follow Great Lakes Mud on Facebook.